These two photographs show the Garfield County courthouse in Ravanna, Kansas. The courthouse was located approximately forty miles northeast of Garden City in Finney County. 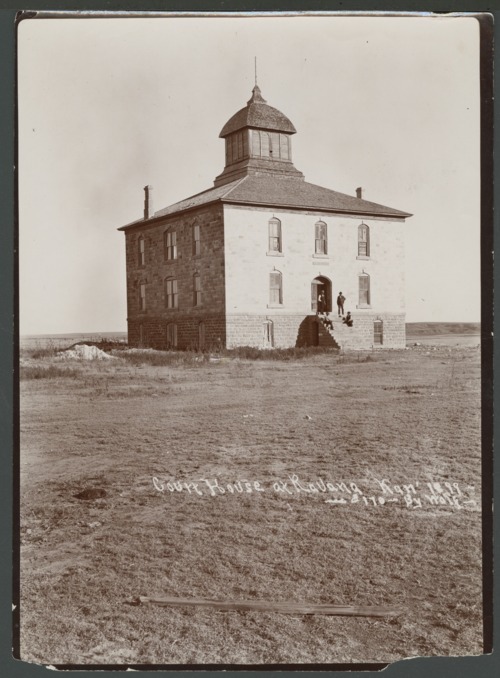 The two-story structure, built for the state's 106th county, was never utilized for governmental activities after the Kansas Supreme dissolved Garfield County on March 7, 1893. A fire in 1900 destroyed the building.